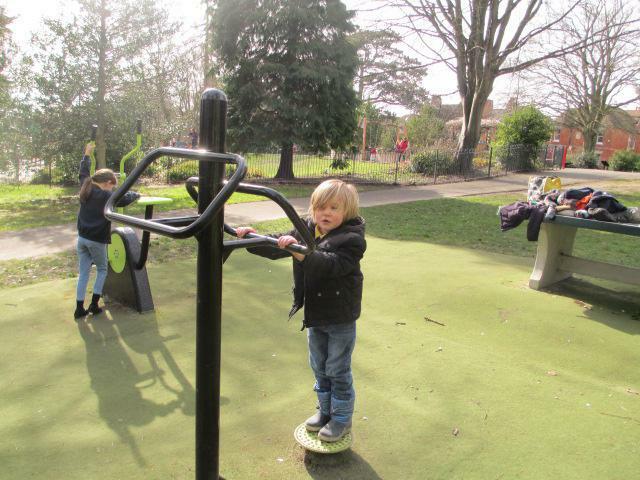 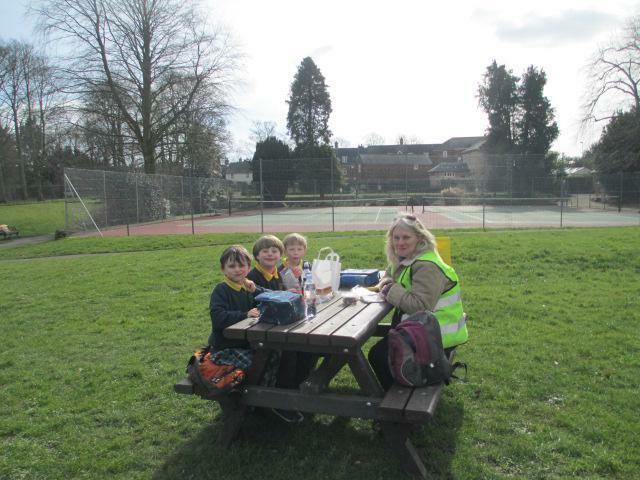 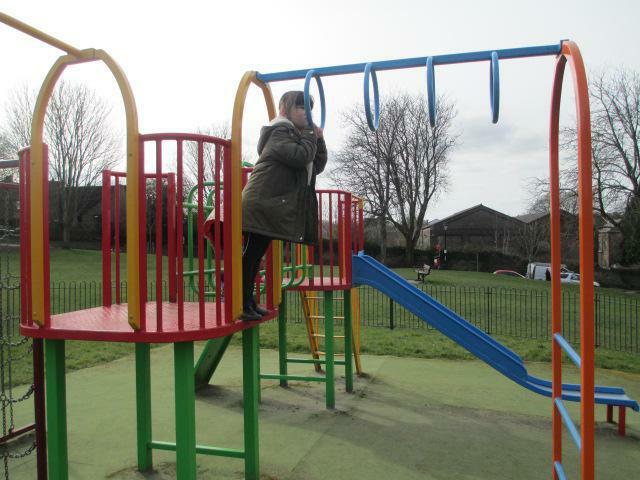 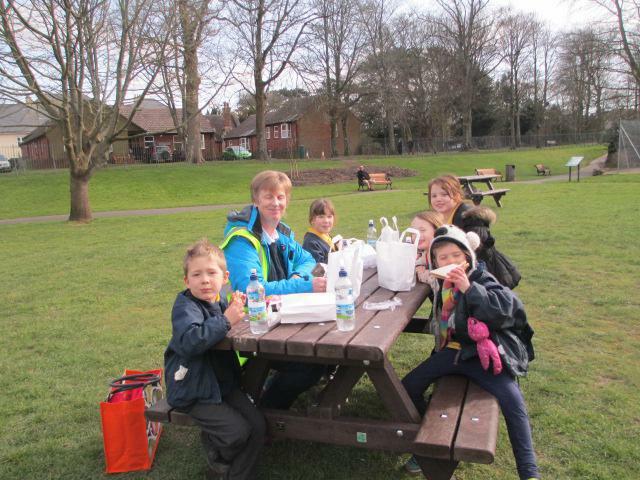 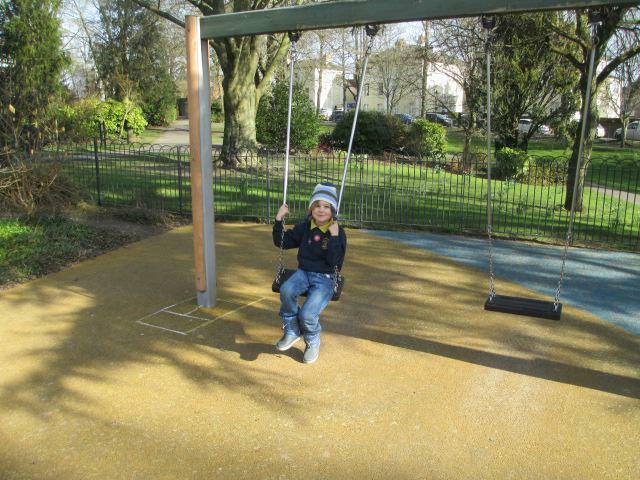 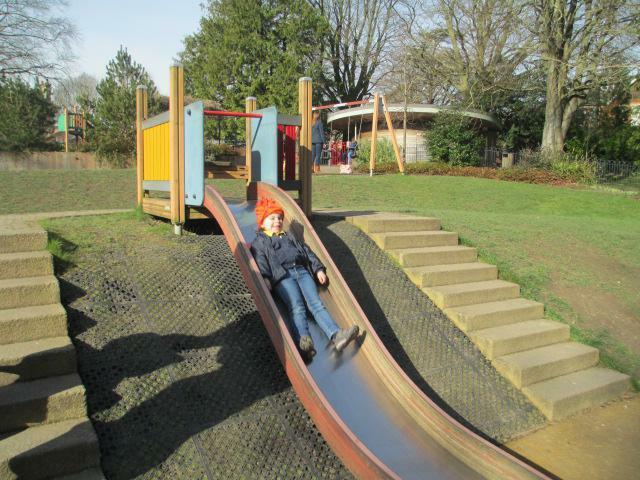 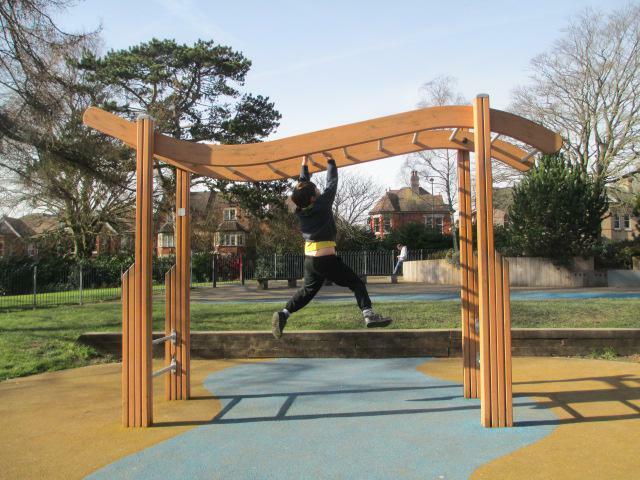 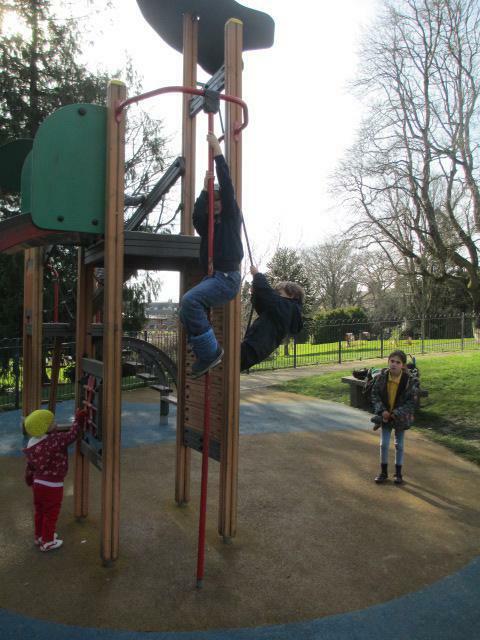 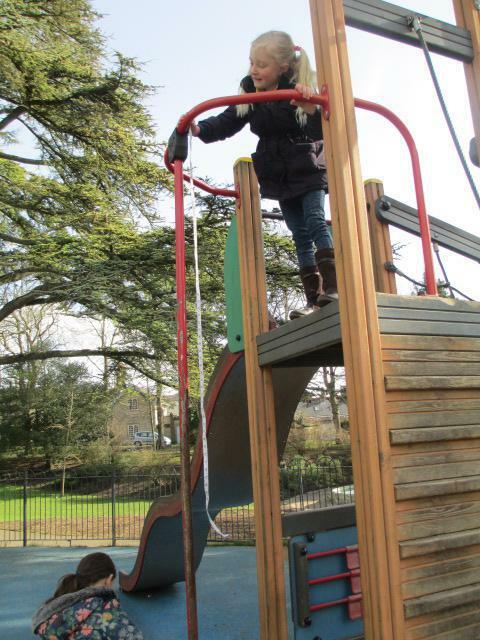 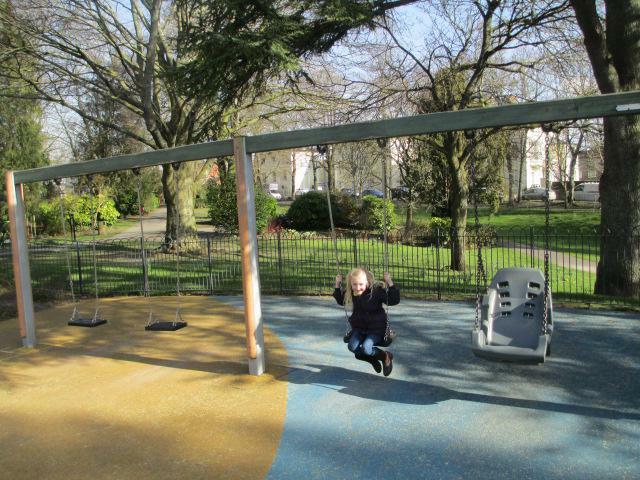 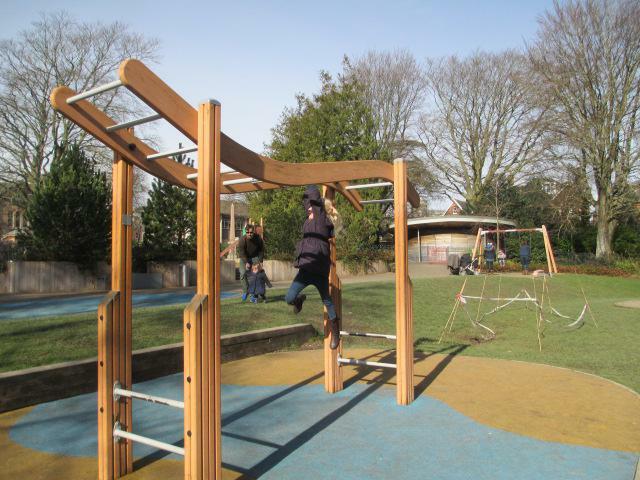 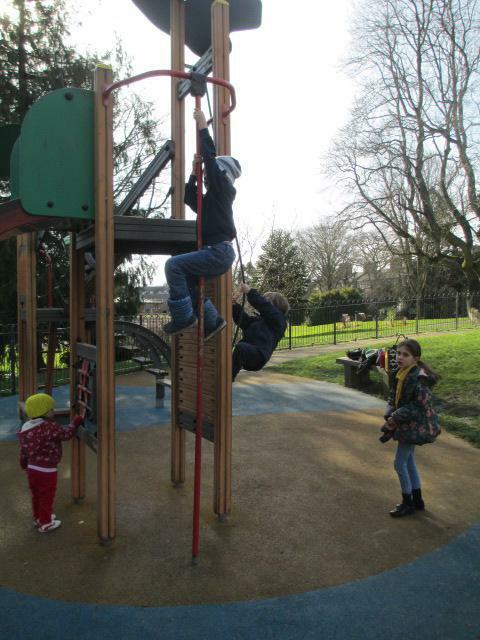 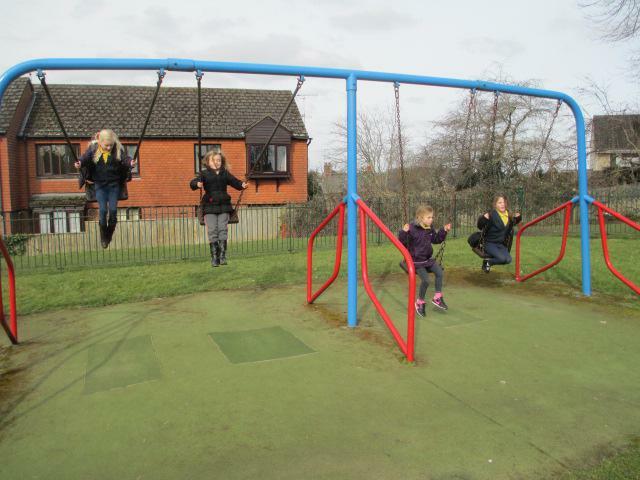 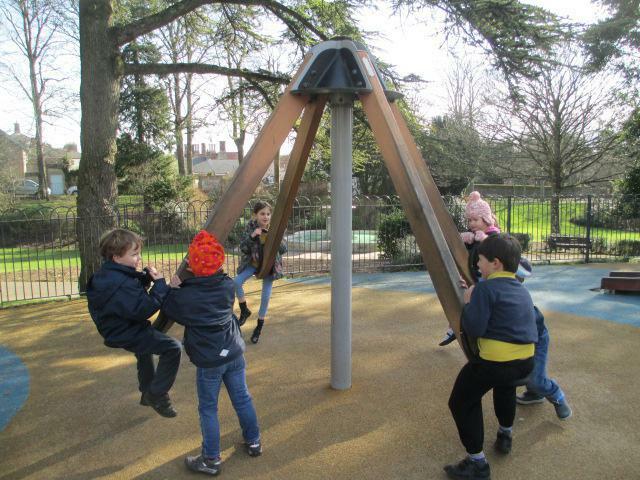 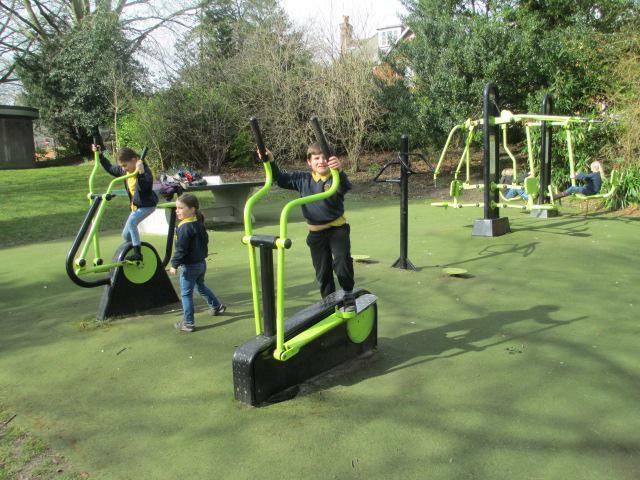 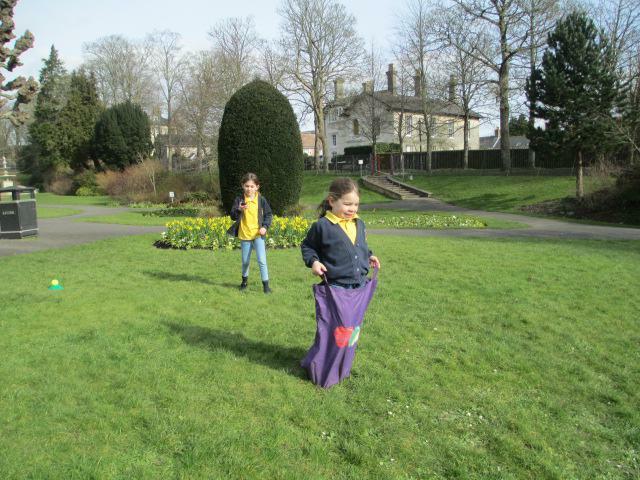 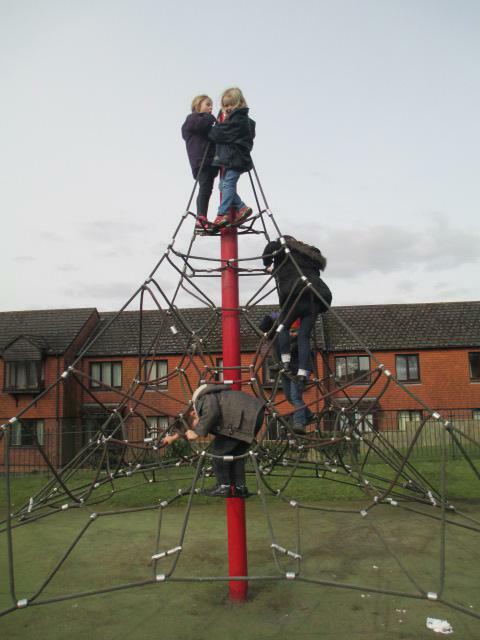 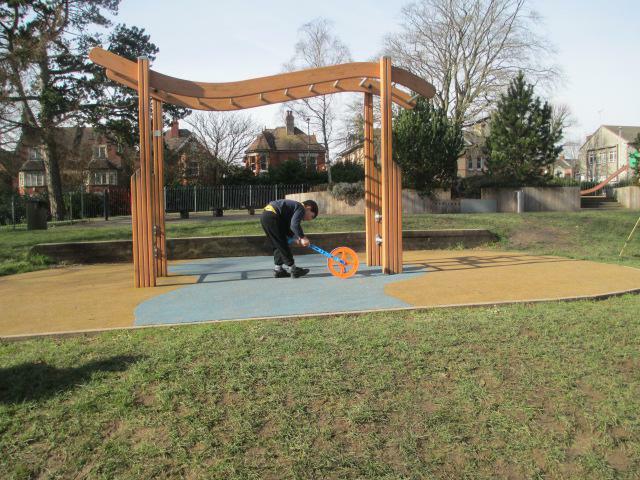 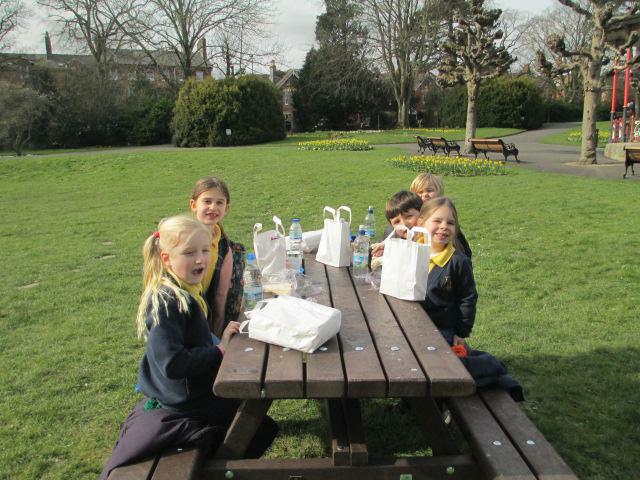 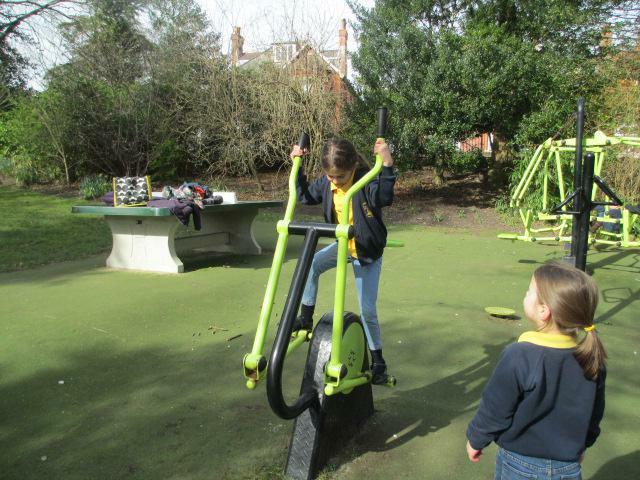 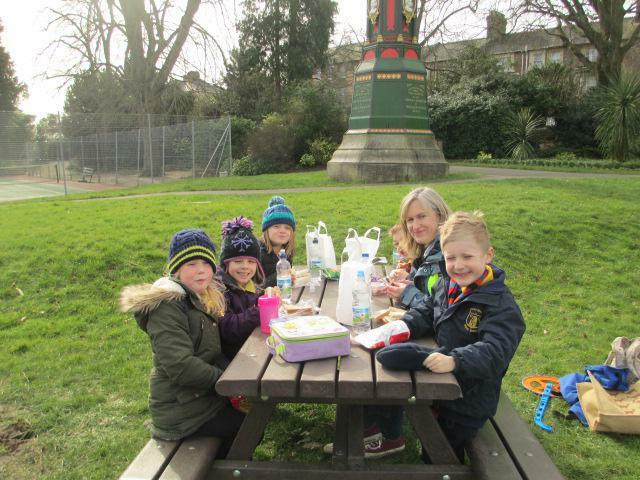 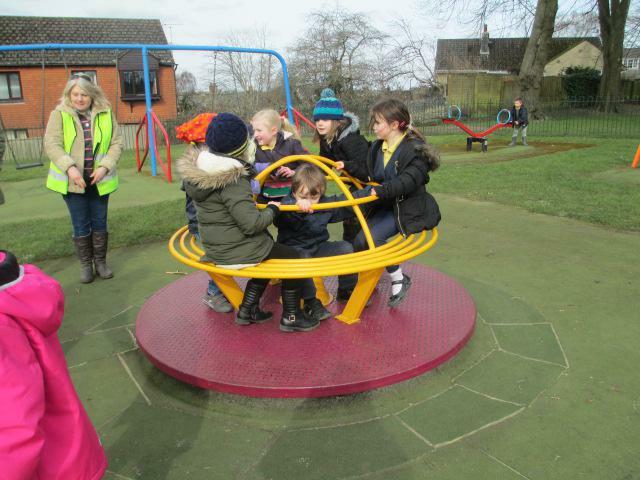 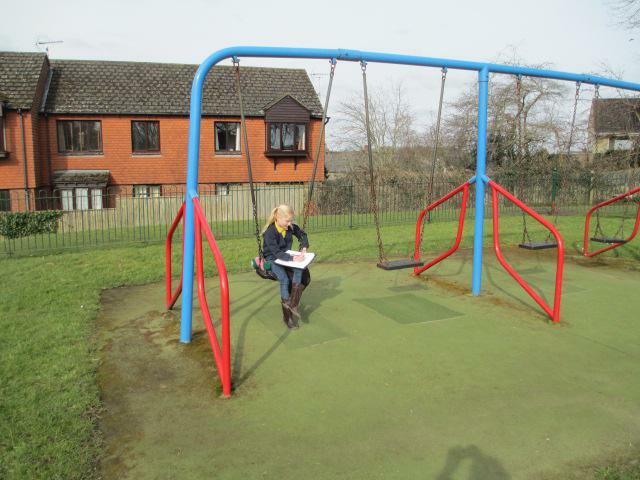 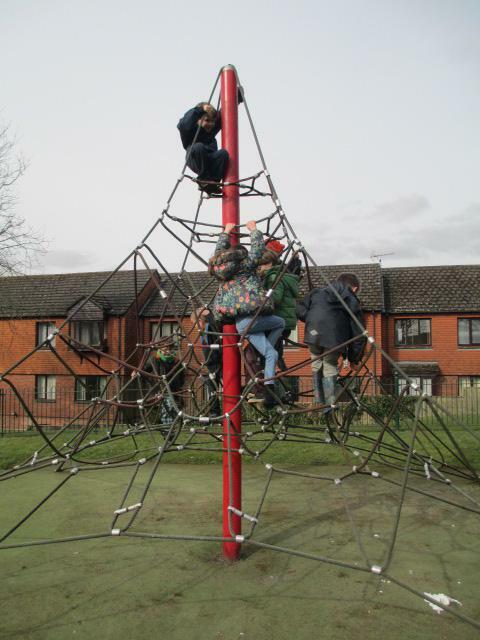 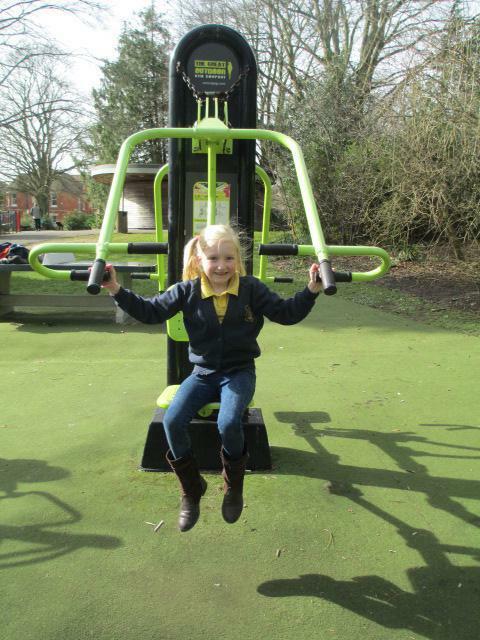 We have just had a really enjoyable day at Dorchester Borough Gardens and Salisbury playing fields. 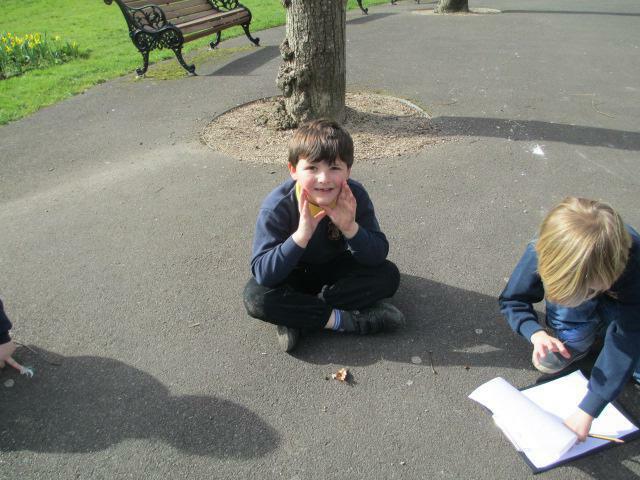 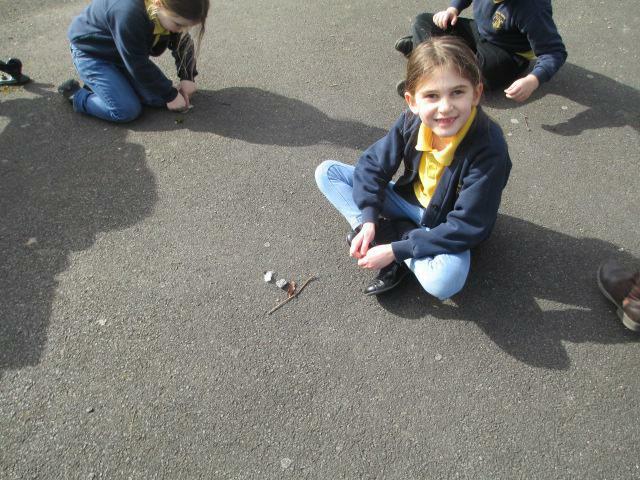 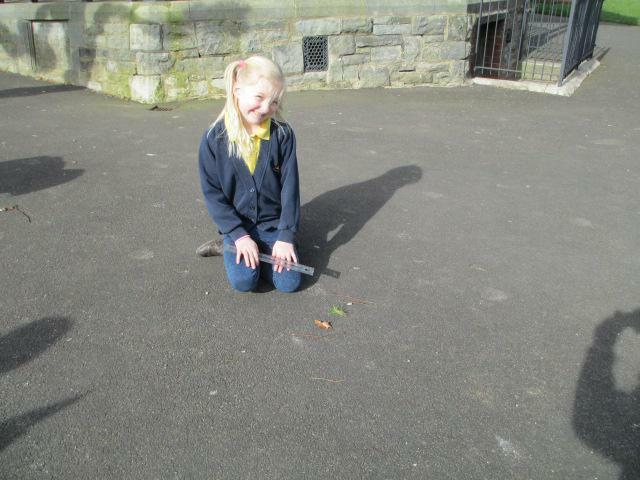 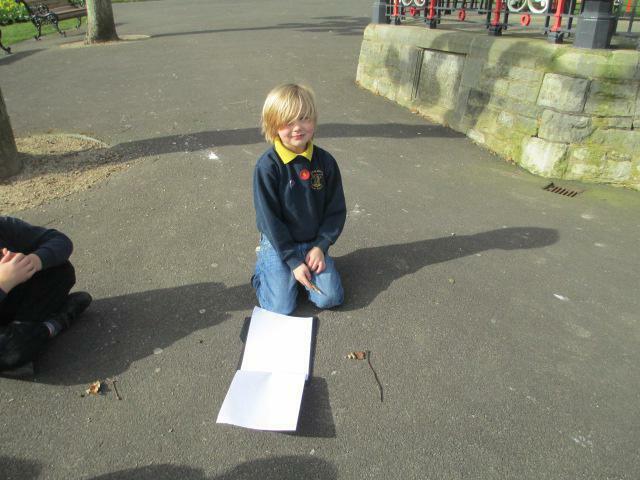 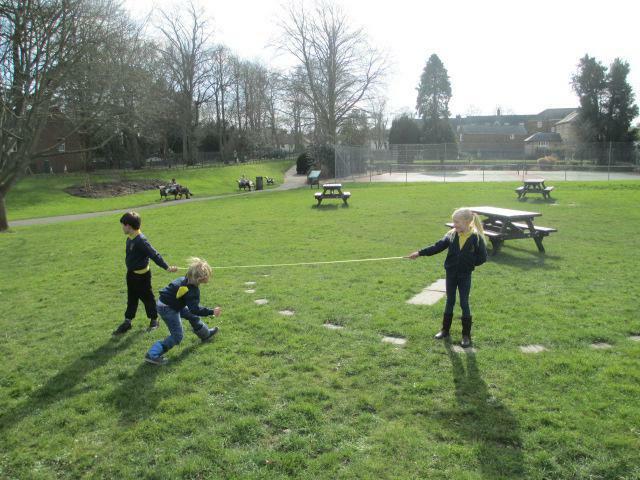 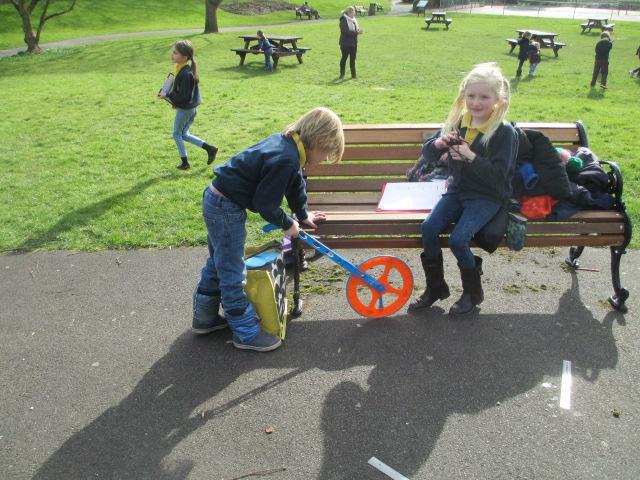 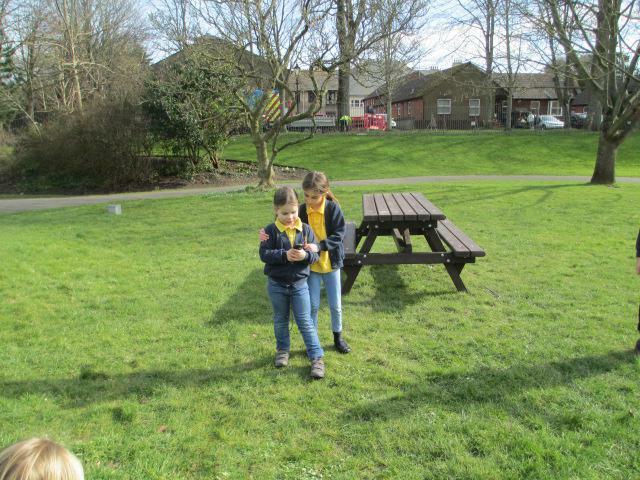 We were taking our topic learning 'Magical Measuring Maths' outside and measuring all sorts of things. 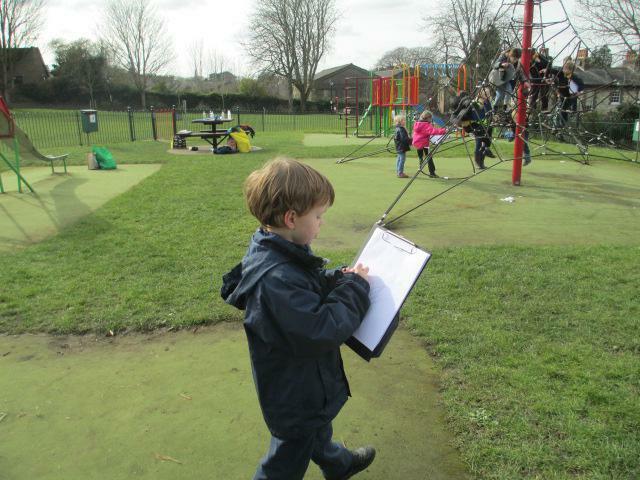 We measured using footsteps, paces, handspans, centimetres and metres. 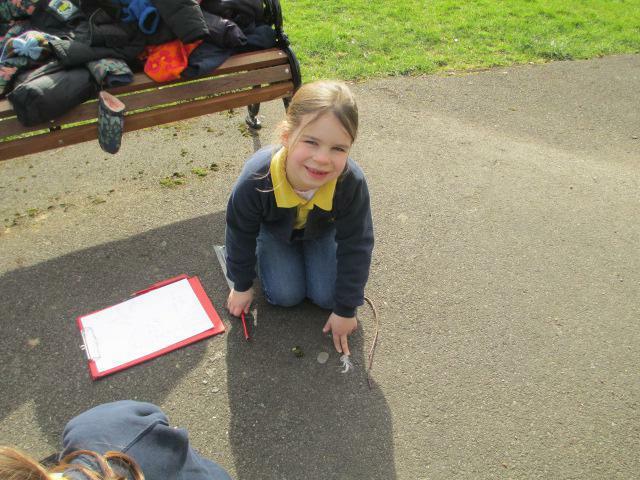 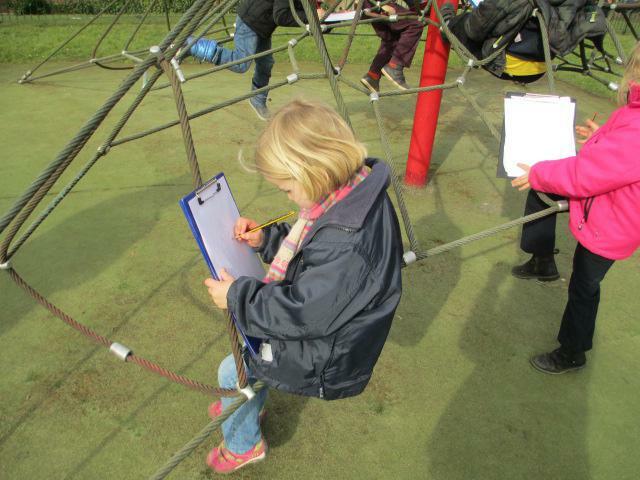 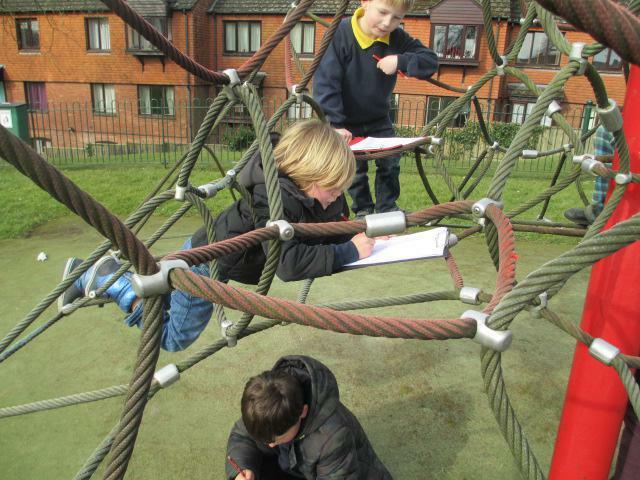 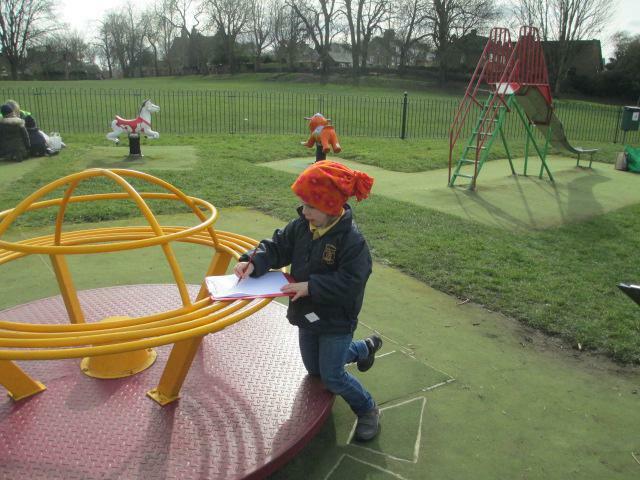 We measured playground equipment, park benches, paths, leaves, twigs and stones. 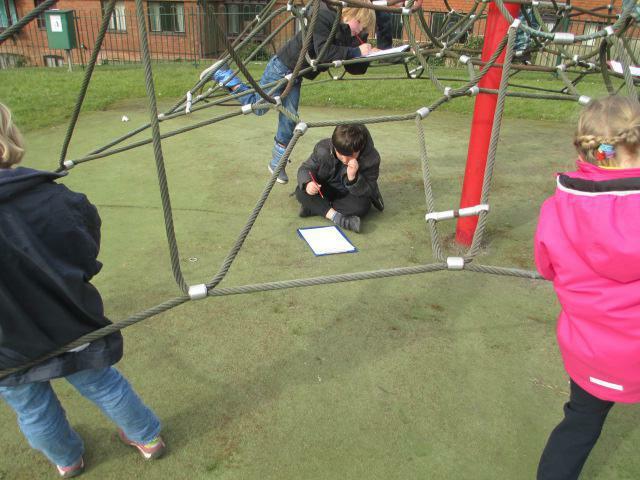 We also timed each other undergoing various obstacle courses. 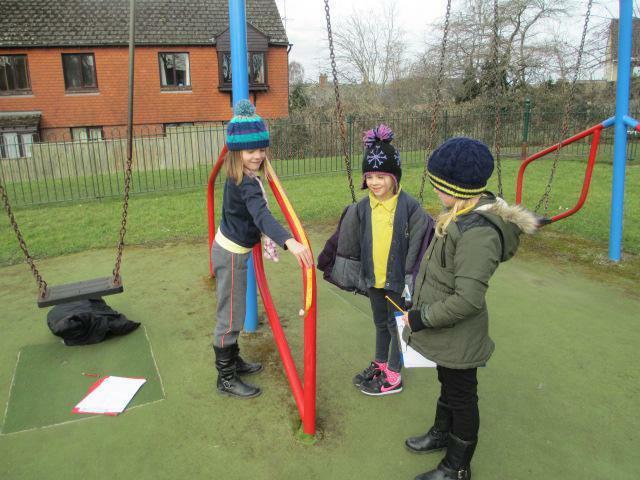 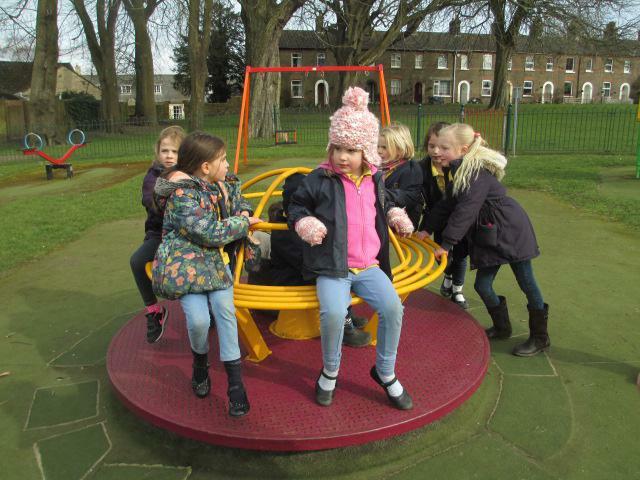 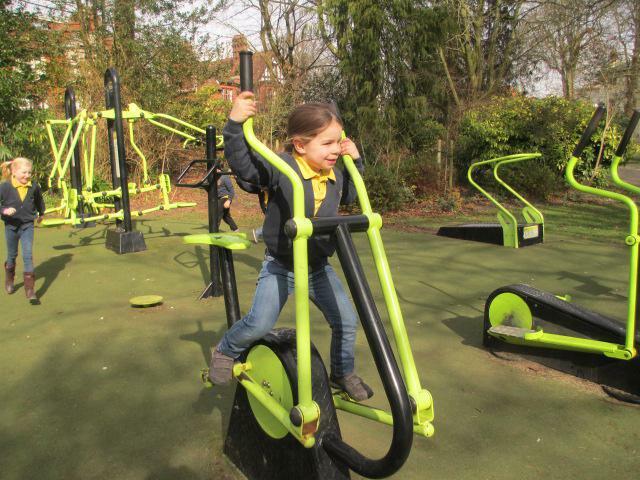 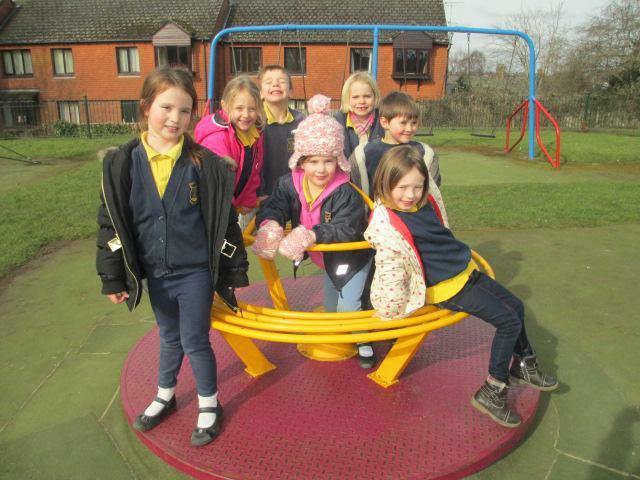 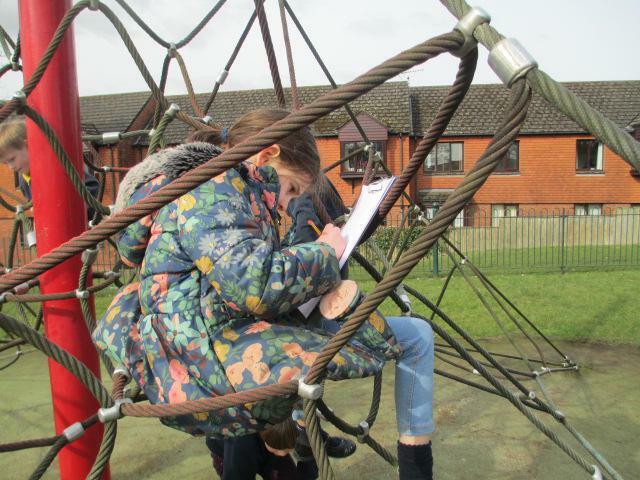 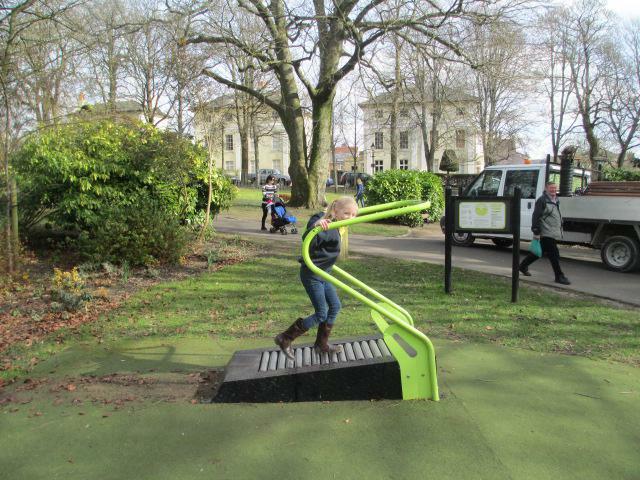 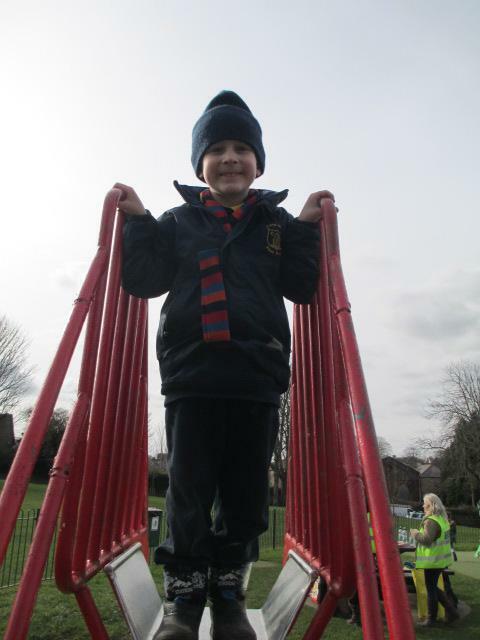 Finally we tested the 'funablility factor' of each piece of playground equipment and decided which playground item that we would like to design ourselves back in the classroom. 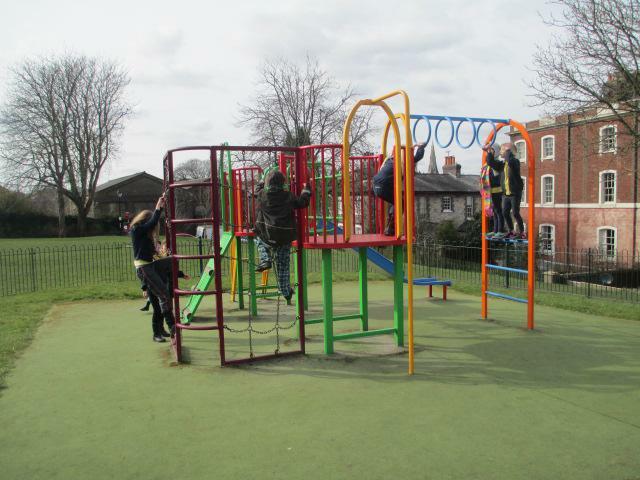 We hope you enjoy our pictures that shows you a little part of our day.